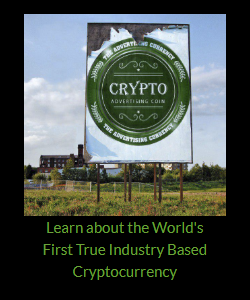 Almost everyone knows about CMC as it’s often been referred. It’s like the google of the web. CoinMarketCapranks cryptocurrency coins/tokens the total value of the project. This is derived by multiplying the price by circulating supply of that cryptocurrency. After reading about how a partner in one of the biggest and most prestigious international law firms was busted by an undercover US Federal Bureau of Investigations (FBI) agent for trying to garner Bitcoins in a corrupt transaction from a Silicon Valley tech company, it’s likely you won’t feel sad about smart contracts beginning to take over certain functions of lawyers. You might even secretly thank Ethererum’s co-inventor Vitalik Buterin, for it. Masao Muraki, a global financial strategist at Deutsche Bank, along with two colleagues Hiroshi Torii and Tao Xu, wrote in the note that a lack of fluctuation and volatility in the stock market is leading investors to look elsewhere to make money. BTC is currently trading at an average of $11,834, down 1.02 percent over the 24 hours to press time.